My Vodafone WOD placement at Building Trust international may have finished but work doesn’t stop. 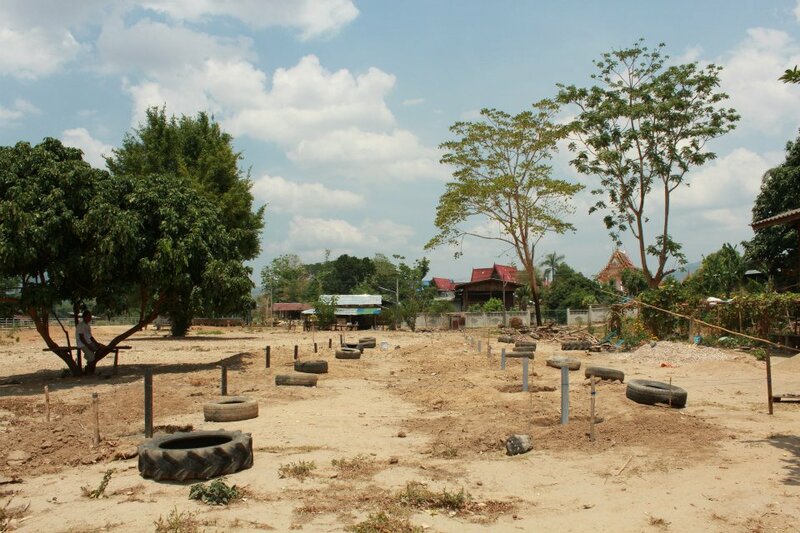 With the rainy season quickly approaching in Thailand it was very important that we work with the local teachers and parents of New Road school to set the foundations for their new school before the rains started. Having previously set the grid for the foundations and bringing truck tyres to site we were ready to start digging the holes and setting the foundations. With the parents and teachers keen to help out it was left to their committee to dig the 14 foundation holes. Overnight, 7 parents and teachers excavated the foundations to precise accuracy. This was fantastic as it meant by day two we could begin filling in the holes with truck tyres and a concrete mixture. It was amazing to arrive at site the next day and see the vast number of people ready and waiting to carry out work on the foundations. With sand, gravel and tyres delivered to site we were ready to begin mixing the concrete mixture and setting the foundations. A team of men from the committee began mixing the concrete mixture by hand, with a further team delivering buckets of sand and gravel to the mix. Within less than an hour several of the foundation holes were set, it was easy to see that many of the people helping had a background in the construction industry. 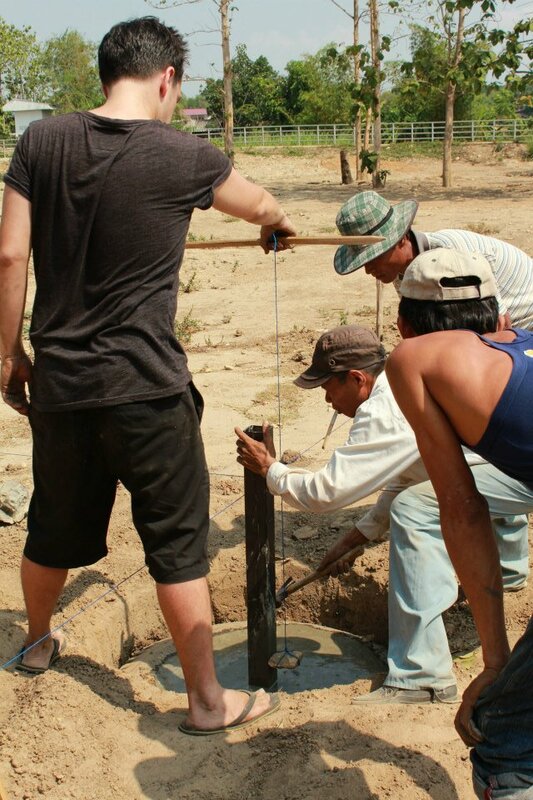 It was great to have Jay a volunteer from Chile on site to help with the foundations, he carefully fed rebar into the foundation feet to give added support. It was not only volunteers and parents who helped out but also the pupils of the New Road school. 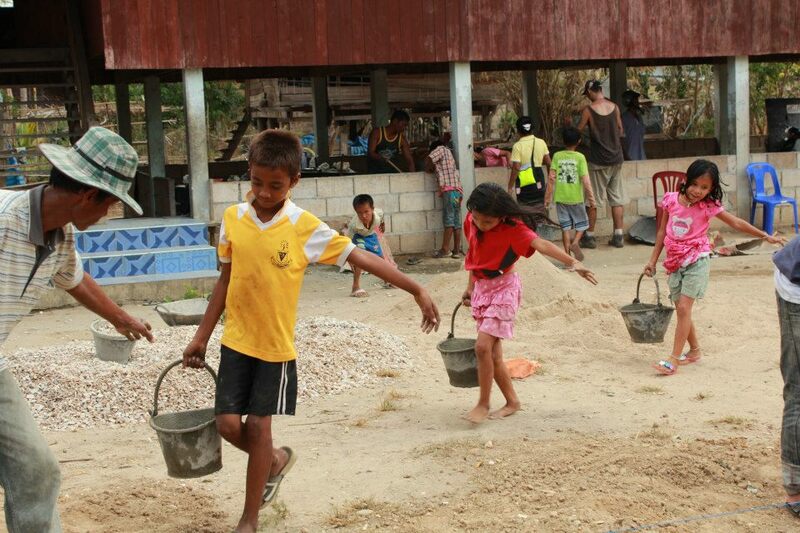 They were happy to carry buckets of the sand and gravel to the site and were excited to see the start of their new school. School pupils help out on site! To ensure the foundation holes were level a home made plumb bob and line was made from a stone and string to ensure all foundations were at right angles. Each foundation post was also clearly marked with a marker pen to show the centre position of the foundation for ease when the steel frame structure is fitted to the foundations posts at a later date. 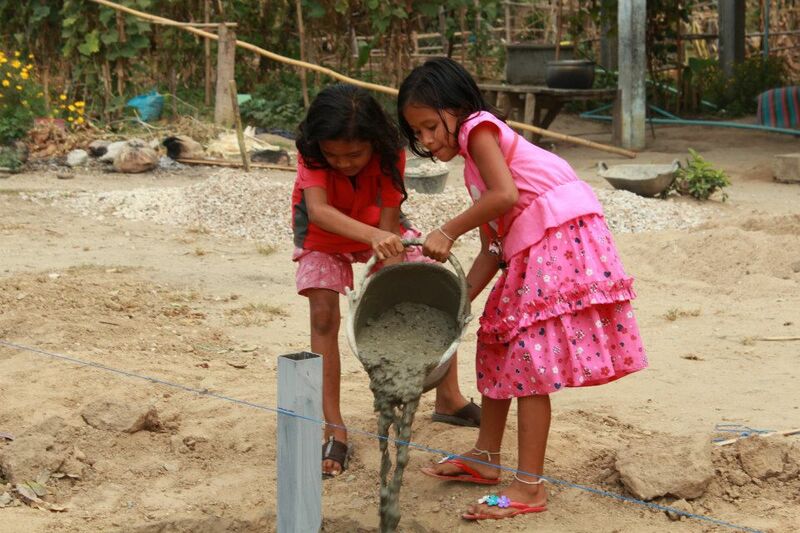 After just a few hours all the foundations were set and ready for the upcoming rainy season. This will be a great benefit when we begin the construction of the school in June as it is easier to mix concrete and work on foundations without the rain. After 2 days all 14 foundations holes were completed! 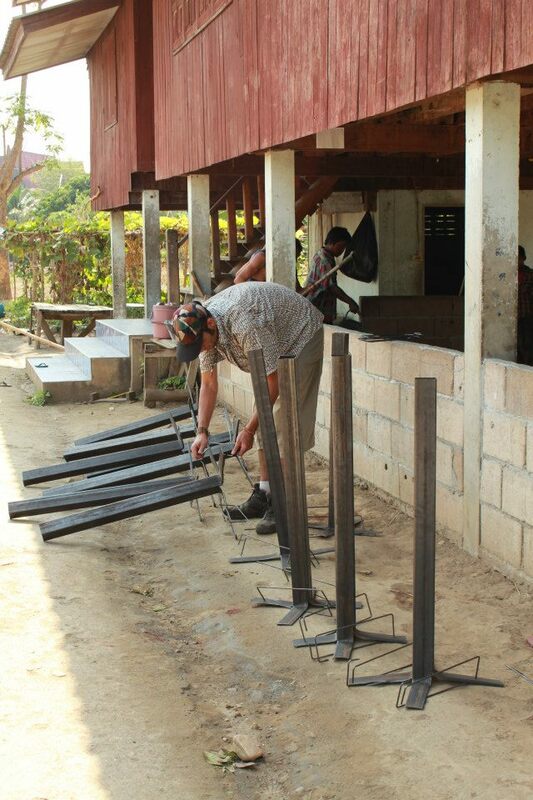 The steel for the school frame structure has been delivered to the Iron Wood workshop for the apprentices to begin drilling holes and cutting the steel to construct the frames. I look forward to updating you on the school build progression soon.